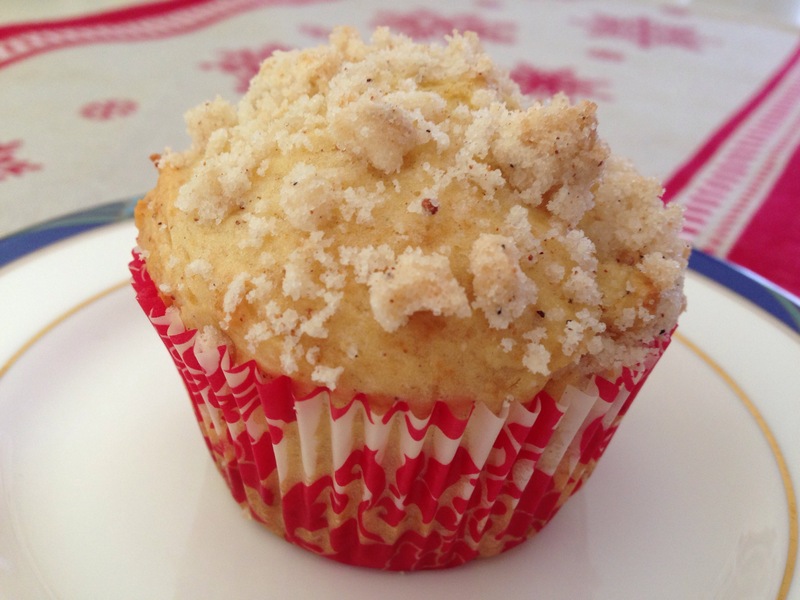 I thought I’d try a new recipe this past weekend and settled on Eggnog Muffins. I used the recipe I found at King Arthur Flour and it had good eggnog flavour. My only quibble was with the crumb topping. It made twice as much as needed, was messy and didn’t add a lot of flavour. When I make them again I will replace that with my standard brown sugar crumble for the top which I think will crown them nicely. Stir the flour, brown sugar and nutmeg together. Rub the butter into it until it holds together. Sprinkle over muffin batter before baking.